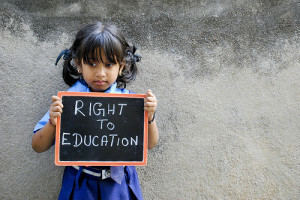 It is an achievement of sorts for Delhi in the field of education, which has seen maximum success in implementation of the Right to Education Act’s Section 12(1)(c). This act requires private-unaided schools to reserve 25% seats for kids from economically weaker sections (EWS) and disadvantaged groups (DG). In addition to Delhi having the highest percentage of seats in this quota filled—92.08%— there is also a relatively high degree of clarity on the relevant processes and policies. The national fill rate of EWS seats is 29% and the total number of seats is 21 lakh. It may be mentioned that The Indian Institute of Management, Ahmedabad, Central Square Foundation, and Accountability Initiative and Vidhi Centre for Legal Policy have studied data from the District Information System for Education for 2013-14 and government notifications to assess the success rate of the 25% EWS-DG quota across states. Furthermore, Delhi has filled in most of the eligibility criteria. As per media reportsthere was clarity on the type of information to be shared and the channel to be used. Selection process was transparent at least in theory. And it has a State Commission for Protection of Child Rights (SCPCR) too. This is unlike Bihar—with a fill rate of 20.78%—which didn’t seem to have a clear idea of anything beyond the definition of EWS-DG, neighbourhood criteria and appointing various authorities.